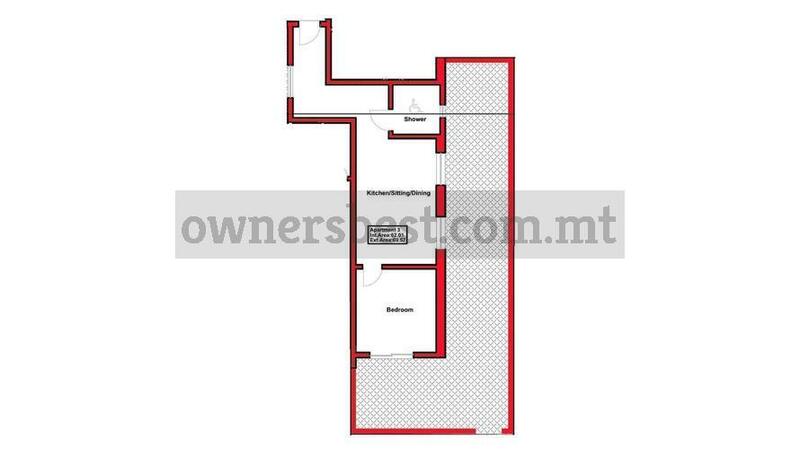 Semi detached 1 bedroom ground floor APARTMENT on plan in a prime area in Qawra, being sold highly finished including bathrooms and internal doors. Comprises of a good sized open plan with natural light all round, 1 bedroom and 1 bathroom. Complementing this property is a large corner patio having a total of 70sqm. Freehold. Basement interconnected garages are also available.